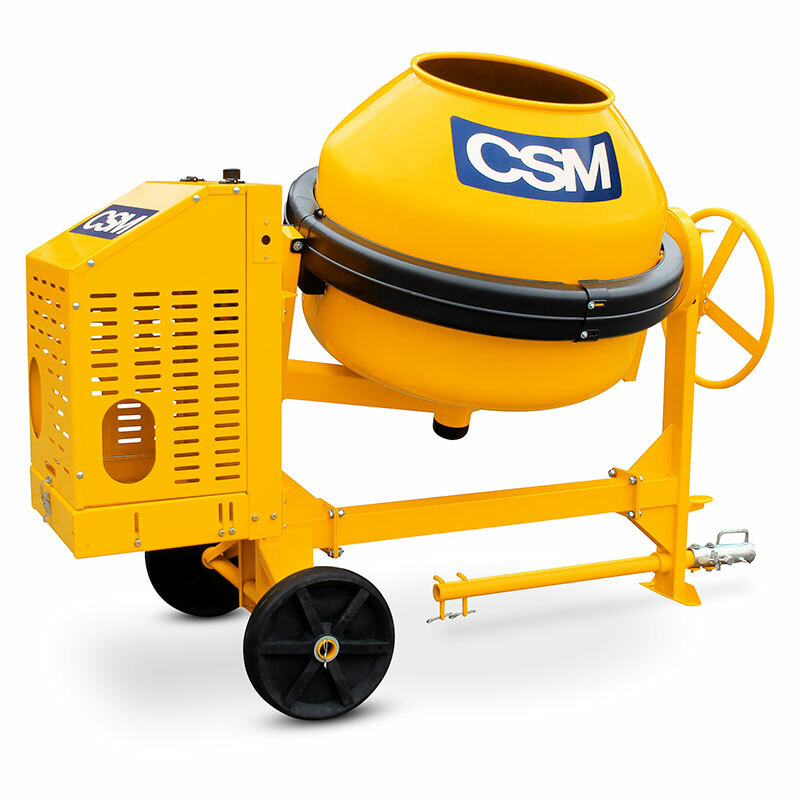 We have portable cement concrete mixers available that are convenient to use on construction sites and offer an affordable solution to concrete mixing. Mobile concrete mixers are ideal for construction sites, home use, mining and agricultural use. Our reliable concrete mixers offer a steel cast gear ring, a solid frame for increased stability, and large 240mm diameter wheels to allow for stability and excellent manoeuvrability. These mixers also offer a large drum that allows for great mixing results, and a 180-degree swivel and tilt function for a very easy and effortless discharge. With the drive shaft mounted on a sealed ball bearing and a very low rotation speed, these mixers for a very easy and reliable operation. It is very comfortable to use, as it offers two pneumatic wheels as well as a drawbar with the loop hitch for easy transportation on the larger concrete mixers. Our concrete mixers include the powerful Subaru CM400/DY23_2B, offering a 400-litre drum capacity and a powerful 100% Japanese Robin Diesel engine. The Weima WM173 offers a 5HP engine with a 400-litre drum capacity and a 280-litre wet load. We also have the Rato CM400/R210 concrete mixer that offers a 7HP petrol engine and a 280-litre wet load. An electric concrete mixer is used to mix cement, stone, water and gravel together to make concrete for a building project. 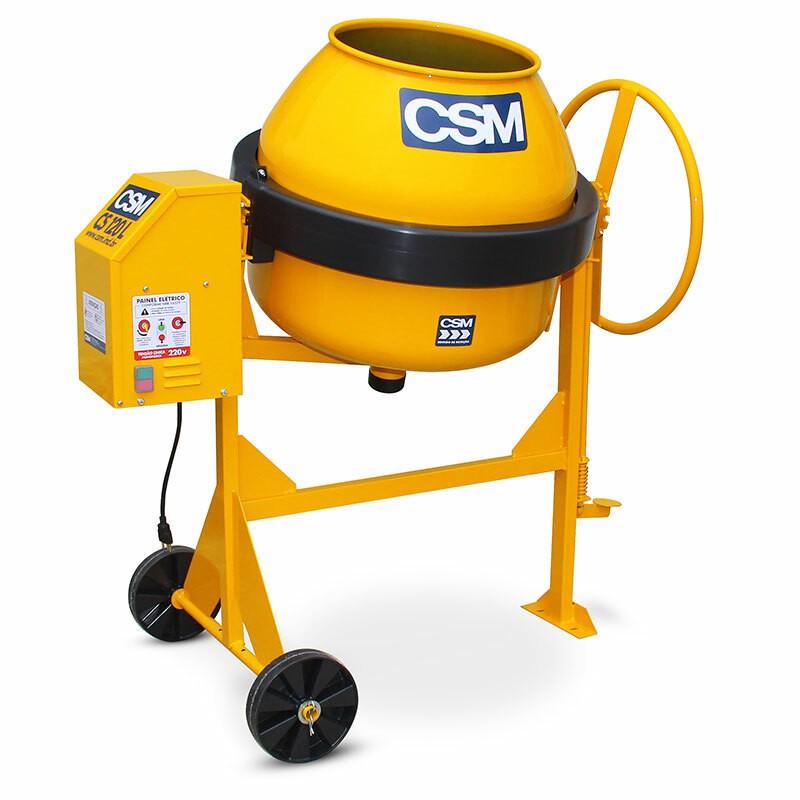 You can use these mixers to mix smaller quantities of cement, and they are quite easy to use. Mix water and stone first for 1 minute, add cement and mix for 1 minute, then add sand and mix until a smooth mix is achieved and pour. Let it mix for a couple of minutes and add more water until the cement is smooth and has the ideal consistency. Always make sure that your mixer is running at 26-28 revolutions per minute; meaning that the concrete mixer drum spins 26-28 time in a minute. Furthermore, the concrete mixer drum must be tilted at an angle during the mixing process, to ensure that the concrete mixer blades can properly mix the content. The concrete mixer will not mix properly if the concrete mixer drum is up right. It is also important to load your concrete mixer with your mix at an tilted angle, this will ensure that your concrete mixer is not overloaded. Start your concrete mixer, tilt your mixer slightly and add stone and water, run your mixer to a few minutes, and pour the water and stone out again, the process would have removed all excess concrete in your concrete mixer, and it would not have hardened inside the mixer drum, this keeps your concrete mixer cleaner and ready to use next time.